Nested tables for your complex data types. 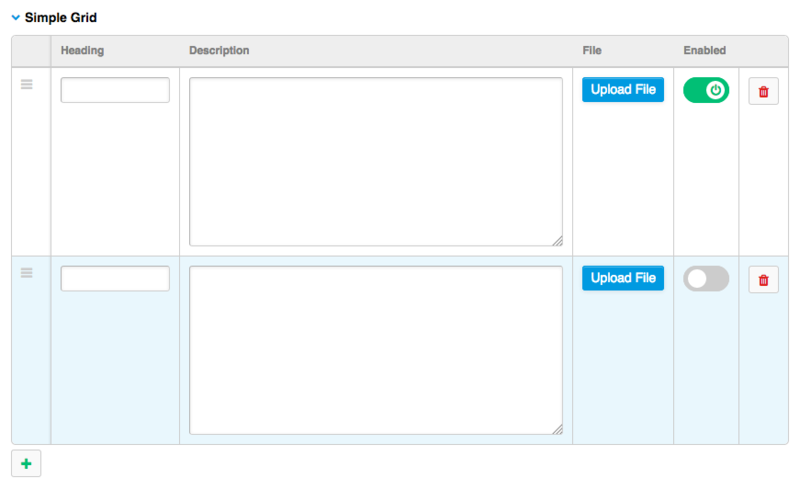 Simple Grid lets you pre-define a set of columns and fieldtypes similar to configuring a native Grid field. Simple Table lets you define the default first row values. 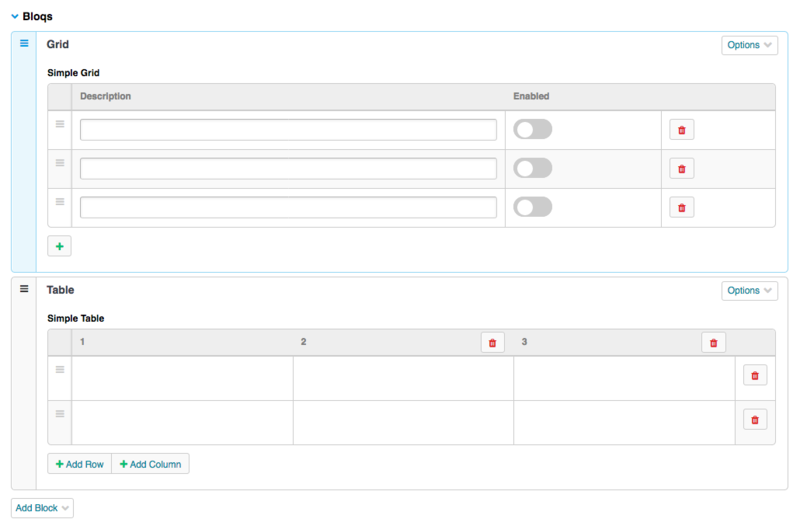 From there your content editors can add additional rows and columns, or change the default values. If you purchase Simple Grids & Tables with Bloqs, you get $15 off.